Reading is the single most important skill for any child to develop. And the key to learning how to read effectively is recognizing the sounds that letters and words represent. With the help of the revolutionary system known as Phono-Graphix™, you and your child can discover the sound-picture code that is the foundation of the written English language. Help your child unlock the sound-picture code. 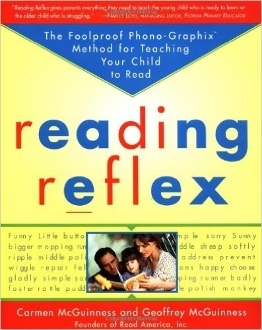 An effective and easy-to-understand approach, Phono-Graphix enables you to teach your child to read in one-tenth the time of phonics with a 100 percent success rate. In just eleven weeks, you can bring your kindergartner to first-grade-level reading—even learning-disabled children can reach grade level or higher in just twelve weeks.